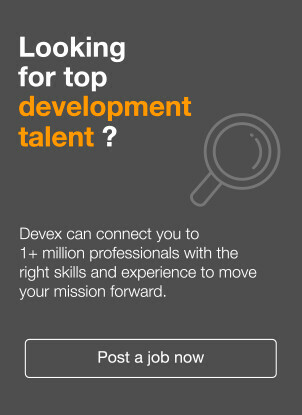 The Devex community includes top talent working across development sectors and around the world. Get connected to the world's largest network of global development professionals today with a Devex Recruitment Account. You can only search by name on the limited version. Learn more to become a Recruiter Member and unlock the full tool. Increase your search power by adding AND, OR, (), NOT, or "" to your keywords.